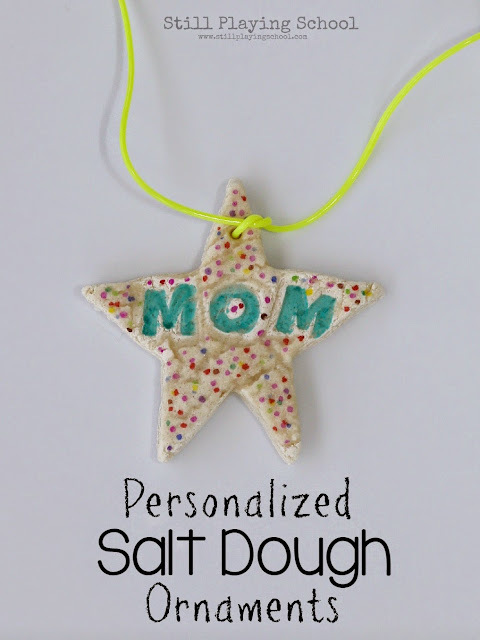 Our preschooler loved creating these personalized salt dough ornaments for the whole family. 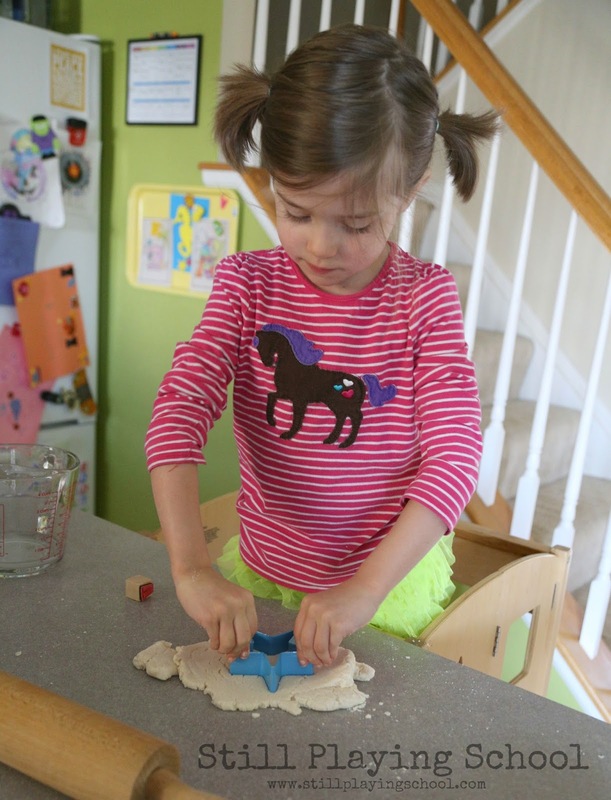 From the sensory dough recipe to the final decorations she was proud to be involved in every step! 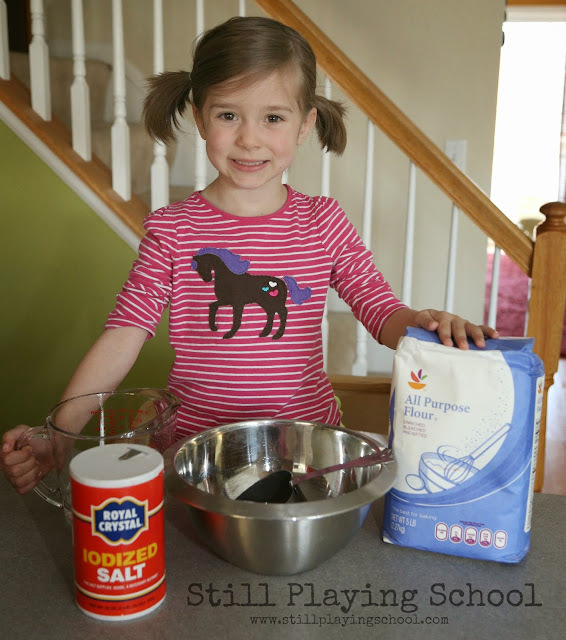 We used the same salt dough recipe that I have used for years. Two parts flour to one part salt to one part water (in that order). Our preschooler E loved measuring out and dumping the ingredients in the bowl. 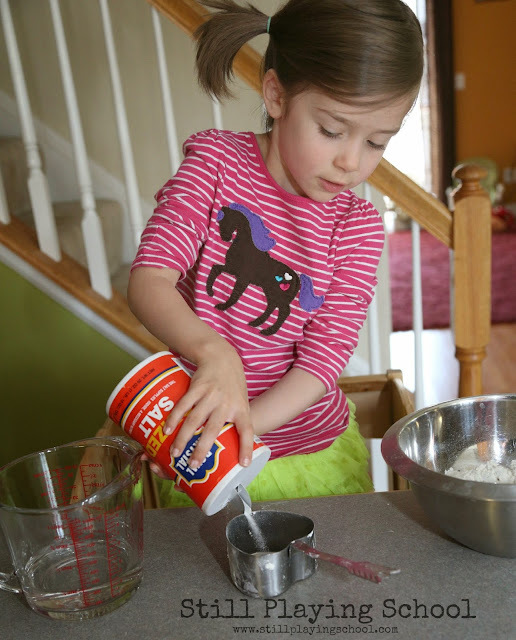 She's been helping in the kitchen since she was very young using our Guidecraft Kitchen Helper so she's an independent pro now! Add the water a bit at a time mixing with your hands as you go. 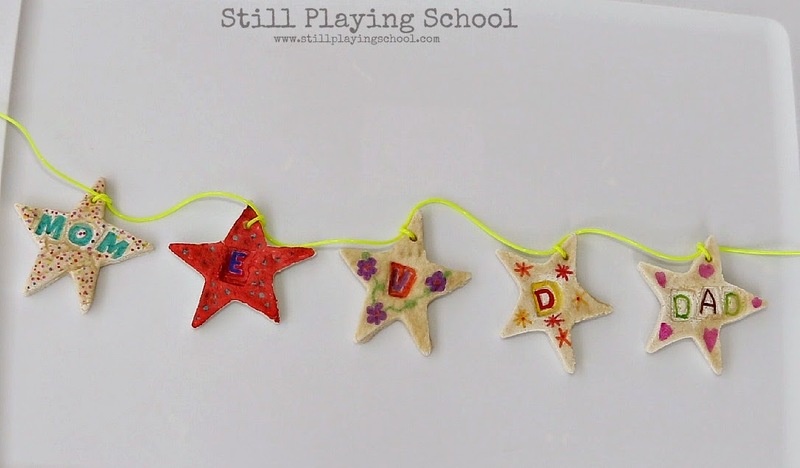 Once a play dough consistency forms you know you're finished! 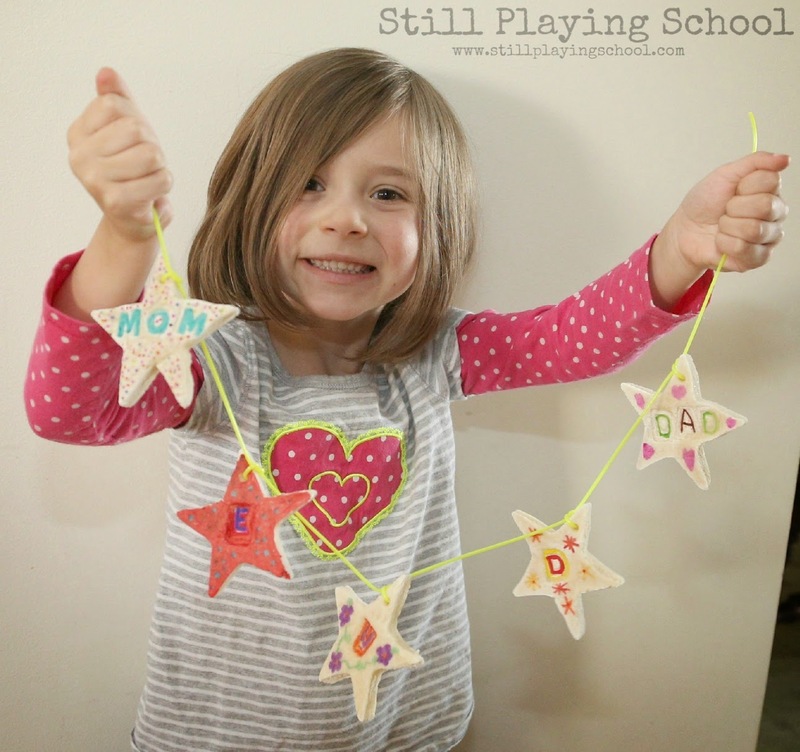 Next we rolled out the dough and cut out star shapes for our ornaments. 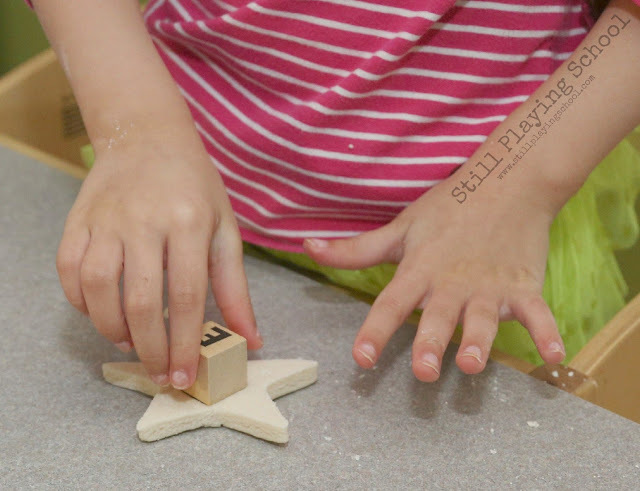 Don't you just love all the fine motor practice involved in this activity? We used Craft Project Ideas' Master of the Arts Wooden Stamps to make an ornament for every member of our family. This was a lovely way to include Violet in a family project even though she is no longer physically with us. 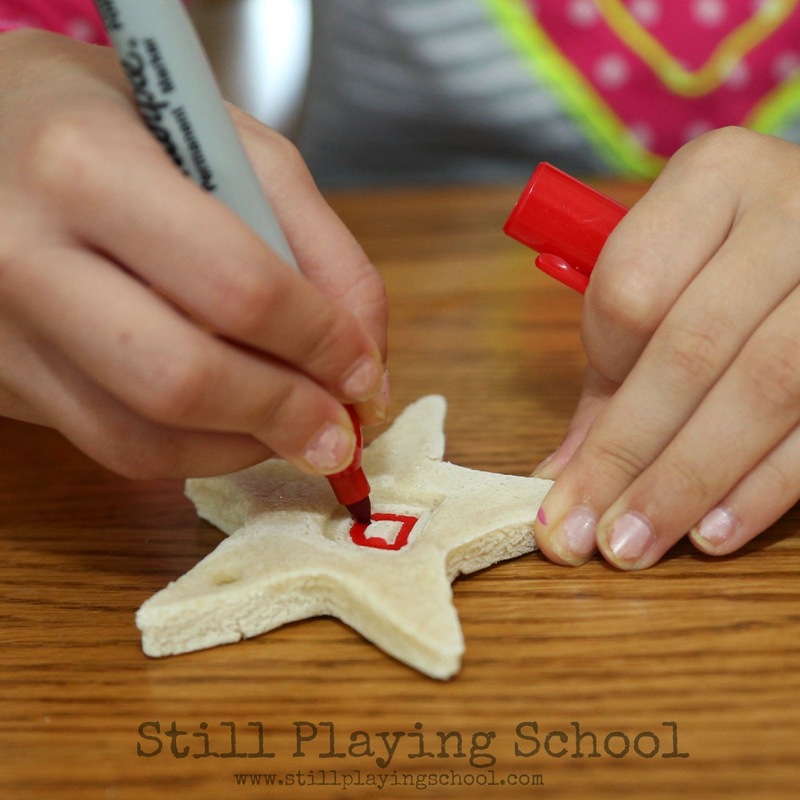 You could color your salt dough with food coloring while you are mixing it but we wanted to decorate the ornaments after baking. We baked them at 200 degrees F for 2 hours. 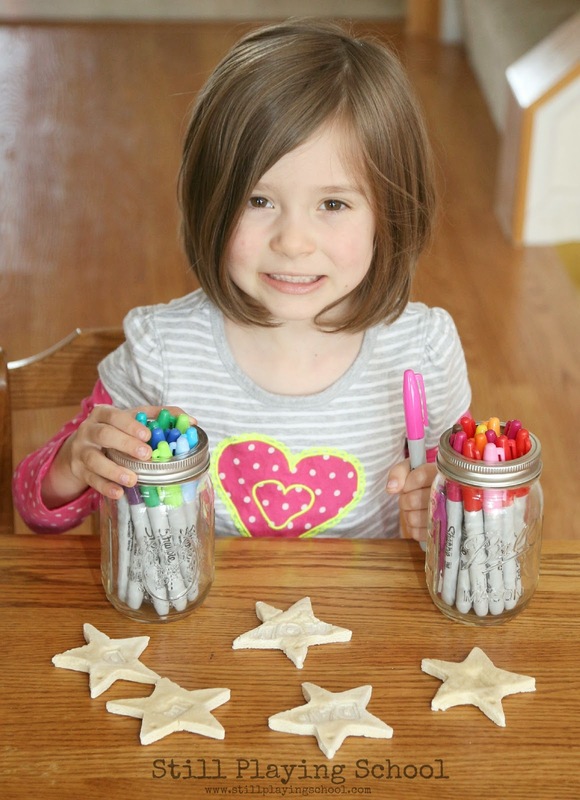 E asked to use our "special markers" or Sharpies to color her creations! What awesome letter formation practice the raised borders of the alphabet stamps provided! We had a very fun afternoon together adding even more personality to the ornaments. The possibilities are endless. We added violets to V's ornaments and firecrackers to D's! We decided to make a garland with our whole family's ornaments. It looks so nice hanging in our kitchen window! You could have children make these for family members for birthdays, Christmas, or Mother's Day or Father's Day! Use a ribbon to tie them to a present and later the gift tag ornament becomes a treasured gift itself. 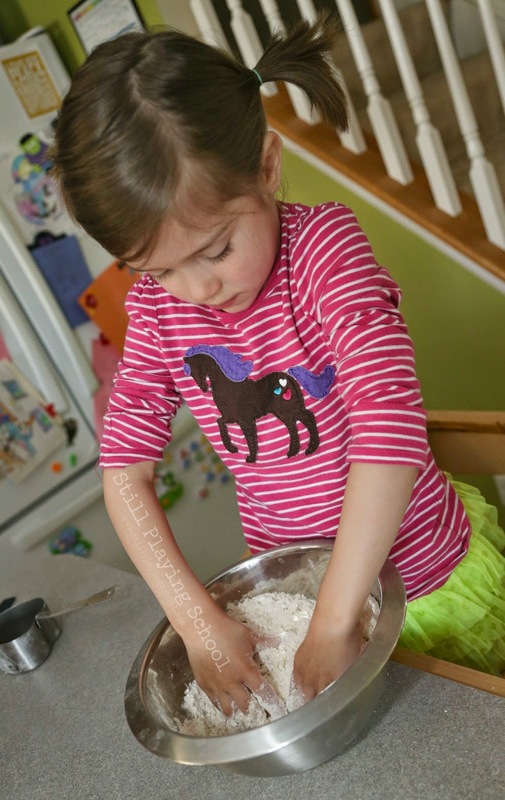 Can you believe this is our 11th month of the 12 Months of Sensory Dough Series?